Hearbeat – Look for the upcoming episode! 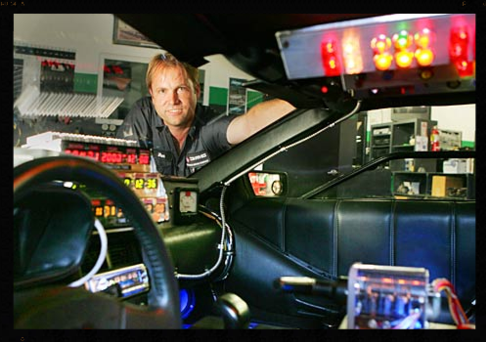 All of our DeLorean Time Machine Cars have been expertly built by world known Delorean technician and service manager Danny Botkin. He creates each car himself with amazing detail to attention. Danny has worked on the “A” car from the original Back to the Future part 1 film which is now on display at Universal Studios Hollywood. You can rent a Delorean Time Machine Car with our driver for an unforgettable, crowd pleasing event!